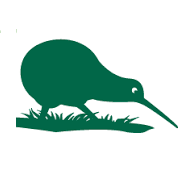 Published 13/04/2019 at dimensions 139 × 137 in Project Director – Hollyford Conservation Trust – Location negotiable, Lower South Island. Published 25/03/2019 at dimensions 192 × 175 in Kiwi Ranger, Wairakei Golf and Sanctuary – Kiwis for Kiwi – Taupo (or reasonable proximity). Published 11/03/2019 at dimensions 123 × 124 in Project Support Manager – Predator Free 2050 Limited – Auckland. Published 22/02/2019 at dimensions 96 × 89 in Biodiversity Ranger – Te Nohoaka o Tukiauau / Sinclair Wetlands – Outram. 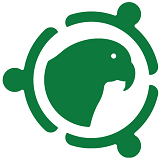 Published 20/02/2019 at dimensions 134 × 137 in Senior Field Technician – Manaaki Whenua-Landcare Research – Auckland or Lincoln. Published 11/02/2019 at dimensions 140 × 137 in Operations Manager – Te Korowai o Waiheke Trust – Waiheke Island. Published 07/02/2019 at dimensions 106 × 108 in Contract Conservation Ranger – Bream Head Conservation Trust – Northland. Published 04/02/2019 at dimensions 133 × 131 in Environmental Coordinator – The Whau River Catchment Trust – Auckland. Published 04/02/2019 at dimensions 134 × 132 in Manager, Deep South National Science Challenge – NIWA – Wellington. Published 21/01/2019 at dimensions 132 × 121 in Penguin Research & Conservation Coordinator – T/Gear Charitable Trust – Dunedin. Published 17/01/2019 at dimensions 99 × 100 in Ranger – Friends of Motu Matakohe/Limestone Island – Matakohe/Limestone Island, Whangarei. 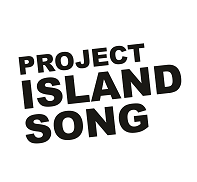 Published 15/01/2019 at dimensions 168 × 160 in Project Coordinator (x2) – Landscape Connections Trust – Port Chalmers, Dunedin. Published 14/01/2019 at dimensions 123 × 119 in Public Tender – Predator Free Dunedin Trust – Dunedin. Published 04/01/2019 at dimensions 197 × 182 in Volunteer Development Officer – Guardians of the Bay of Island – Russell, Bay of Islands. Published 21/12/2018 at dimensions 122 × 126 in Field Operators – Supplejack Contracting Ltd – Masterton.